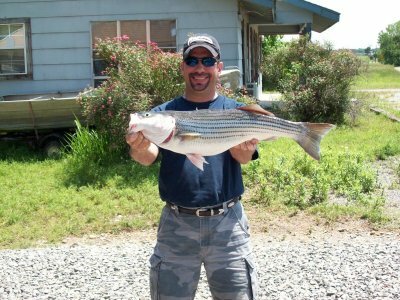 Author WebmasterPosted on June 19, 2010 June 19, 2010 Categories Something Fishy, Texoma Information1 Comment on A Series of Events? KXII has aired a report on Monday nights 10 pm broadcast and published a story on their website regarding the sinking of Wayne McCullough's boat which we initially reported on Saturday the 12th. In their broadcast KXII reports Mr. McCullough as saying "I looked up the boat was already upside down or sideways, at that point I knew the boat was sinking. I had no warning, I had half a second, a millisecond." They further report thet he says he did have type 1 life vests, instead of the common, less buoyant and thinner type 3’s. Unlike the type three vests that you have you put your arms through, and zip up, the type 1 vests simply slip over your head. Wayne says the vests kept him and his passengers afloat for more than hour, until a passing boat picked them up. The Lake Texoma guide community has become unusually tight lipped regarding this incident. From all we have been able to gather this was nothing more than a tragic accident but one that under a closer look becomes a tad fishy. Granted the only official version we have heard of the accident is the one Mr. McCullough spoke with KXII about. Our curiosity is perked up however from some of the statements of other guides on a message board that is popular among many of the guides. On this board the usual posters tried hard to keep the whole incident under wraps. One poster asked about the inicident and was blasted by a couple of the "older posters". One poster who goes by the screen name "Bandit" wrote "It's not tip toing around the subjec. The only one's that know the whole story are the guide,his customers and the guide that rescued them and they aren't talking. So everything anyone else say's is hearsay. And if it's true I don't think the guide will appreciate your comment Van. Not good customer relations." Two other guides offer a point that begs for questions. The first Ricky posts "I talked to Wayne. As usual it was not an event but a series of events. glad to hear he and all are fine." Basscat writes "I was over at Wayne house yesterday and had a long chat with him. If Wayne wants to talk about it on the board how and what happened it's up to him. But I can tell you this, it was a series of events, and could of happened to me or other people just as easy." First, Mr. McCullough says in his KXII interview that the sinking was a quick occurence "had half a second, a millisecond." The two guides who communicated with Mr. McCullough both state that is was "a series of events". Secondly, we initially heard that their were other boats nearby area and another guide/s rescued the guys in the water fairly quickly. Basscat's post supports this as he says "The only one's that know the whole story are the guide,his customers and the guide that rescued them and they aren't talking." In the KXII interview it seems to be infered that it was just a passing boat that rescued the group after they were in the water for an hour. It would be interesting to hear what these "series of events" were but as Basscat posted "they aren't talking." . It is our opinion that anytime an accident like this happens it is best to be open and forthright. This leads to a greater trust of the Lake Texoma Guide profession and community. The statement that it's "Not good customer relations" only brings up images of the current BP Gulf PR Disaster which is definately not what Lake Texoma community wants or needs. The new licencing from the Coast Guard require a report be submitted anytime any incident involving a guide's boat or charter. Hopefully after this process in completed we may be able to get a good picture of what happened that fateful day. The US Fish and Wildlife Service and Texas Parks and Wildlife put out a flyer on the Zebra Mussell problem. Click here for full sized flyer. Needless to say the fishing has been just as awesome as expected for this time of year. It is as fast as you can drop your bait in the water and limits are coming in on average of about an hour leaving plenty of time to catch and release, cat fish, or look for bigger fish. We are forecasted to have our first 100° weather here in the first week in June. I can’t believe just 2 months ago in the first week in April we still had snow on the ground. With the water temperature rising, the big fish are starting to venture out into the deeper water. Most of my fish are coming in 50-60 ft. but I’m sometimes still finding the bigger fish in the 35-40ft range, but not always. Live bait is still the ticket and should remain so until the beginning of July. Most importantly, if you’re not beating the water, you’re not catching fish. I took most of Memorial Day weekend off with the exception of Friday morning and Saturday morning. Fishing was still good and it wasn’t as crowed out there as I was expecting. It was nice to finally take a couple of days off to relax a little. Wednesday I was right back after it and the fishing just picked right back up where I had left off. For more info visit StripersInc. Many outdoor enthusists will soon be heading to Lake Texoma to enjoy all it has to offer, Sun, Fun and Recreation away from the Big City. This year, boaters who trailer the watercraft to Texoma need to be cautious and watch out for zebra mussels. Zebra Mussels are native of Russia and once spread to the Great Lakes in the 80's have quickly moved south from lake to lake throughout the United States. Zebra Mussels, a hardy mollusk, are a very invasive species with few natural predators that reproduce extremely fast and can cause all type of problems not only to infrastructure on the lake but also to watercraft kept on the lake. Zebra mussels filter about a liter of plankton a day which competes with the gizzard and threadfin shad. 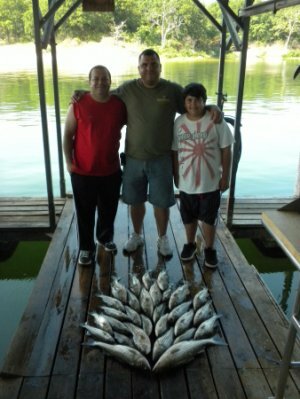 This, of course can have a major impact on the Striper Fishing Community on Lake Texoma as shad are the main food of the striper population.